The combination of more new homes selling at higher prices pushed Ada County's overall median sales price up to $324,674, which set another new record, but one that was expected, as we typically see the highest prices of the year in June or July. As an additional testament to the competitive nature of the market, due to a general lack of inventory, the market time for existing homes fell to just 16 days, which is the shortest timeline recorded since 2004. So, you might be wondering what it will take for the market time decreases and price increases to level out? One quick answer: more inventory. As long as buyer demand remains strong, homes will continue to go under contract quickly. And while it is definitely a "seller's market", there are still many great opportunities for both sellers and buyers. If you would like to learn more about listing your property, we'd be happy to provide you with a complimentary comparative market analysis. Or if you're looking into purchasing an investment property, please give us a shout! With sellers increasingly listing their homes there are many lucrative options hitting the market. 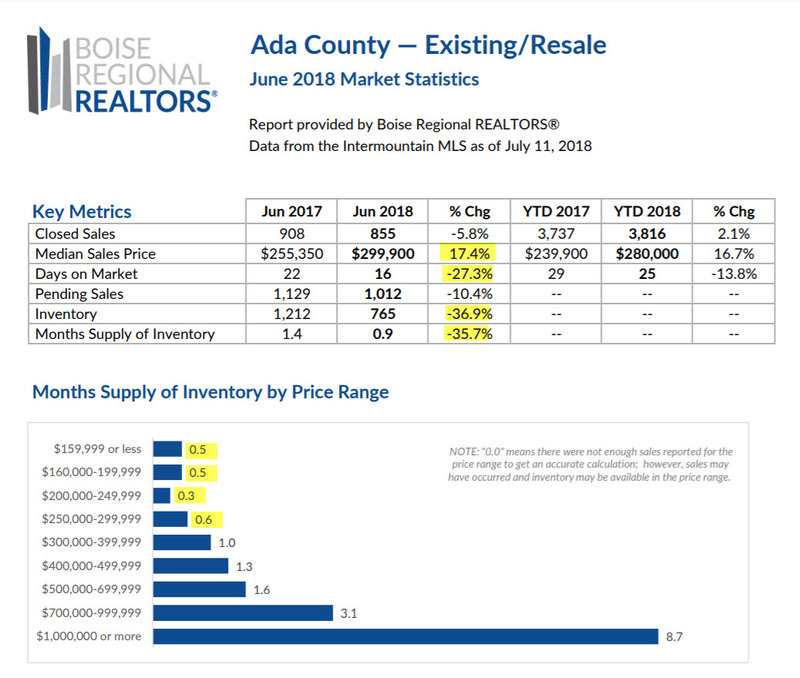 Summary: Compared to one year ago, the median sales price for existing homes in Ada County increased by 17.4%, while total days on the market decreased by 27.3%. Meanwhile, inventory remains shockingly low (nearly 37% lower than a year ago). Homes under the $300k mark are currently selling within 2 weeks! 30-year mortgage rates increased to 4.57% (up from 3.9% compared to last year). 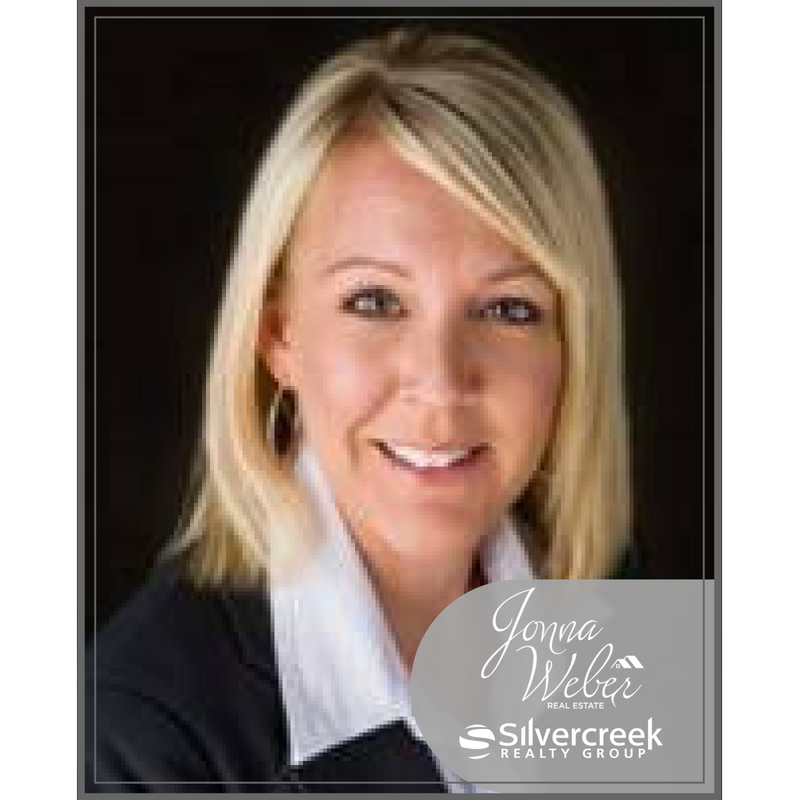 Jonna Weber Real Estate is pleased to announce that Meredith Kulik has recently joi ned the team as our new Executive Assistant. Meredith has over 10 years experience in the real estate industry. Always wearing a smile, Meredith will be using her impeccable organizational skills, incredible attention to detail, and "get 'er done" attitude to help ensure a smooth transaction for our clients. When she's not working, Meredith enjoys spending time with her husband and their dog, Sully. Biking on the greenbelt, hiking, visiting the great local restaurants and attending fun Boise events are some of their favorite things to do. We're very excited to welcome Meredith to the team! We'd love to serve you or anyone you know as a partner in this exciting journey. Contact us for a complimentary listing consultationor to start your property search today.